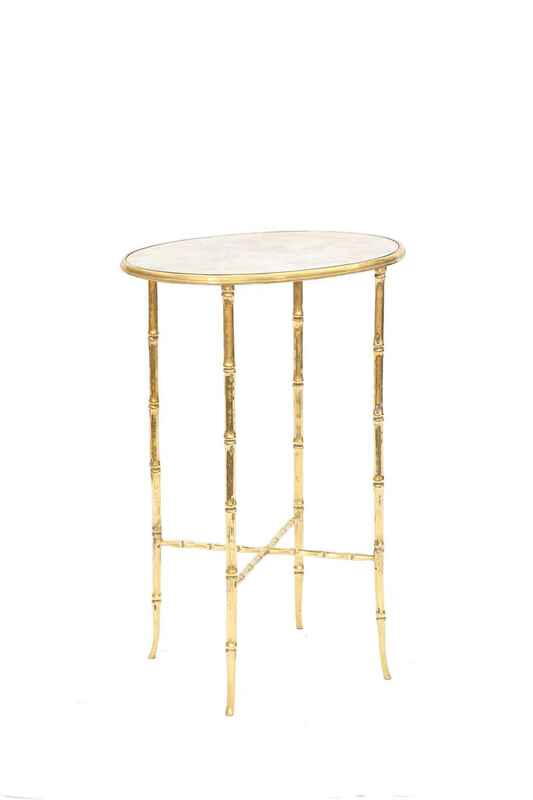 Side table, in the manner of Bagues, having an oval top of spotted mirrorplate, on a frame of brass, formed as bamboo; raised on four splayed legs, joined by X-stretcher. CONDITION: Excellent condition consistent with age and use. Minor wear and oxidation to finish. 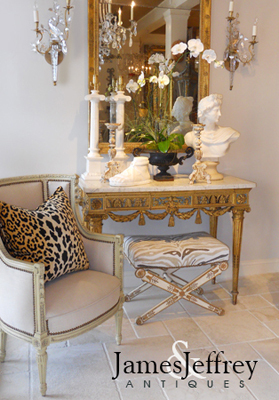 Side table, in the manner of Bagues, having an oval top of spotted mirrorplate, on a frame of brass, formed as bamboo; raised on four splayed legs, joined by X-stretcher. CONDITION: Excellent condition consistent with age and use. Minor wear and oxidation to finish.